During the vision, Vaknin reported seeing Elijah the Prophet coming in and going out. According to Jewish tradition, Elijah will announce the Messiah’s arrival. He also saw holy rabbis from previous generations crying. “The judgement has come. It’s here,” said Nachman. “We’re in a very crazy situation and Hashem (God) is going to push us to the corner,” he continued. “The world is a filthy place. There are many inner, hidden sins of immorality. God is using the Muslims to wake the Jewish people up from their spiritual slumber.” Vaknin also warns the Jewish people exceedingly sternly against being overly prideful. 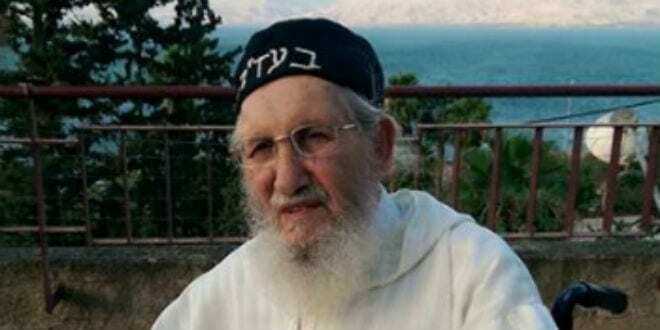 Nachman’s wife Miriam told Breaking Israel News that this past March, at a talk in honor of the anniversary of his father’s passing, Vaknin predicted that the time will come when people are going to be afraid to step outside, afraid to walk in the streets of Israel. Vaknin’s last message from late August of this year warned of imminent war coming to Israel. Three weeks later, Russia started deploying warplanes to Syria and has since built a coalition of countries – including Syria, Iran, Iraq and China – to fight ISIS that some believe is the beginning of the Final War of Gog and Magog. In August, Vaknin also predicted that “there are going to be people dying in the streets, thousands of people all over Israel.” A few weeks later, Israel saw a sharp uptick in terror attacks across the country. The most recent messages from Heaven are darker still. According to Nachman, Vaknin asserts that the situation with Russia in Syria is the War of Gog and Magog. There is a whole different war going on inside Israel with the Muslims and that war is directed at the Jews. “Whoever is working with a Muslim is in danger,” Nachman reported Vaknin saying. Vaknin is praying to God to remove the decree from the Jewish people and he urges everyone to pray, to beg God to cancel out this decree or at least to lessen its harshness. He also urges Jews to use the tools of teshuva (repentance), tefillah (prayer) and tzedaka (acts of charity and kindness) to avert the decree. A public prayer service is being arranged in Israel’s port city of Ashdod.